Is there a limit on the number of photos being printed ? There’s no limit – go wild with our Unlimited Prints ! And we print 1 copy for every person in the same group photo! Will there be any advertising material printed at the back of the photocards? As the type of paper we’re using is waterproof, there won’t be anything printed at the back. What is the duration for you to design the overlays? Our designers will need at least 2 weeks to come out with the first draft. How do you protect the photocards? We’ll be providing a plastic sleeves for each and every photocard. Customized paper backing with logos available. What is your setup time required? Usually about 30 – 45 minutes before the event. 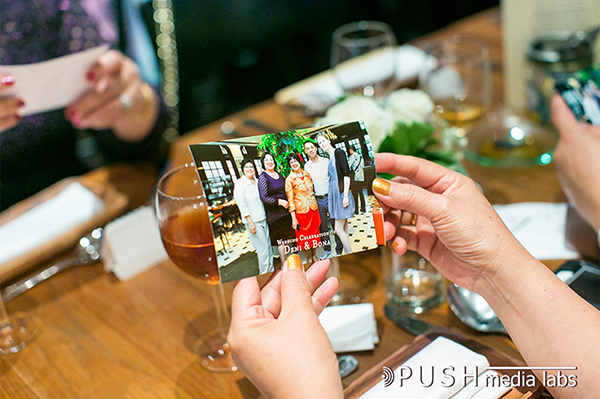 How do we confirm your instant photography services for our wedding / event? Kindly contact us via the contact form. Apart from Instant Photography services, what other services do you also provide? Live Photo Projection , Live Video Streaming , Instagram printing , Photo and Video coverage of events. We’re also do wedding videography at Hweestudios Cinematography.